Fair and Square is the most exciting Fu Man Chu son to Date. FNS's build is what we look for in the FU's. He is extremely deep bodied, wide square pinned. Awesome balance fron chest to flank, and perfect in his structure!! 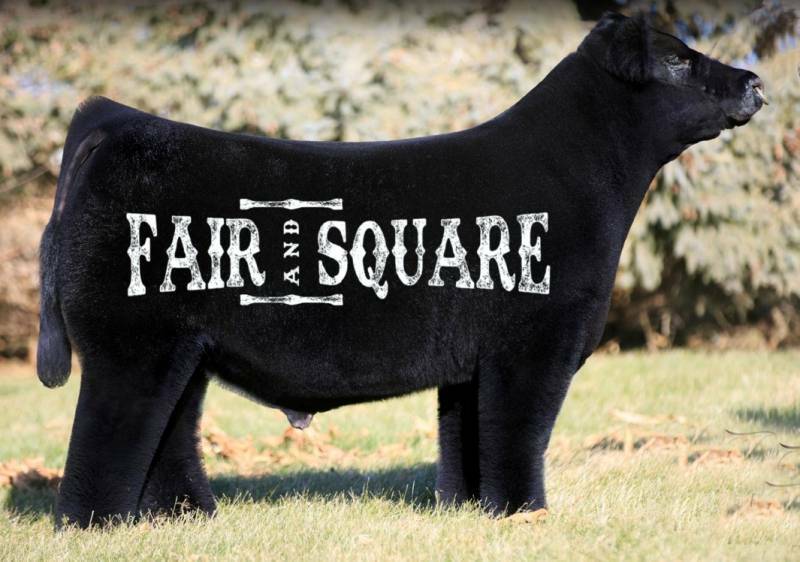 We love the cow side of him as well, she is and Ali/Full Flush that has produced many High Sellers and Champions.